Ron spots two young lovers having a romantic and intimate Valentine’s Day lunch. 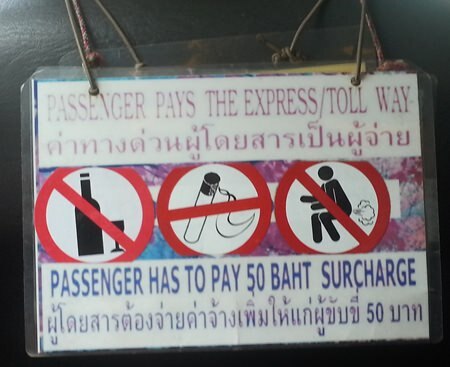 Funny photo in a Bangkok taxi, seems to be standard in many vehicles now. 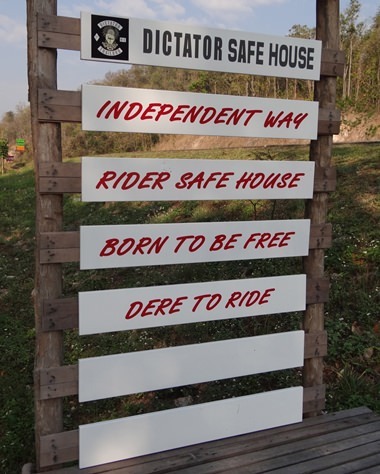 Ron’s new favorite spot in Doi Saket has some quirky owners! 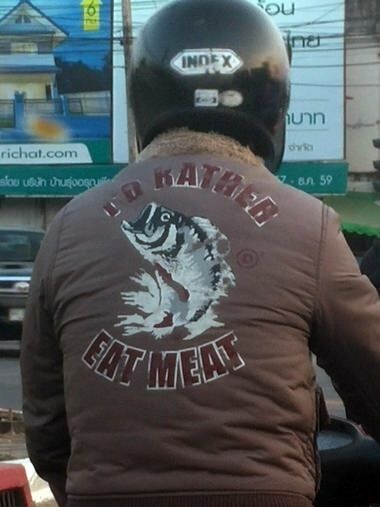 Linda saw this jacket on a passing motorcyclist and thought the fish probably agreed!